Apple has embraced the phenomenon of Animoji karaoke. Specifically called out in the iOS 11.3 preview press release earlier this week, Apple followed up today with two fantastic videos on its YouTube channel. One video features Stir Fry by Migos sung by the dog Animoji backed by the smiling poo Animoji. 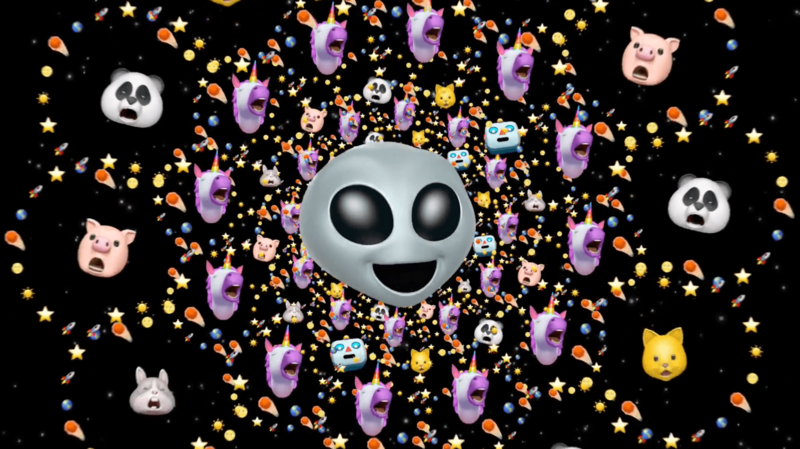 The other video features Redbone by Childish Gambino with the alien Animoji on lead vocals backed by the rainbow unicorn. Both videos are fun pairings of Grammy-nominated artists and Animoji, the animated emoji feature that is exclusive to the iPhone X. Migos’ album, Culture, is nominated for Best Rap Album of 2017, and Redbone by Childish Gambino is up for Record of the Year. According to Ad Week, the two videos will air during the Grammys on Sunday, January 28th. Almost as amusing as the videos themselves is the fine print at the end of each video that says ‘Animoji feature records up to 10 seconds. Professionally animated.’ I’d love to see Animoji recording extended beyond 10 seconds and added to an app like Clips, to make it easier for users to create karaoke videos of their own and eliminate the need for Apple to add a disclaimer to its videos.